I travelled into space last night. I soared towards the stars, weightless amongst the darkness as I experienced the beginnings and the journey of The Man in the Moon. 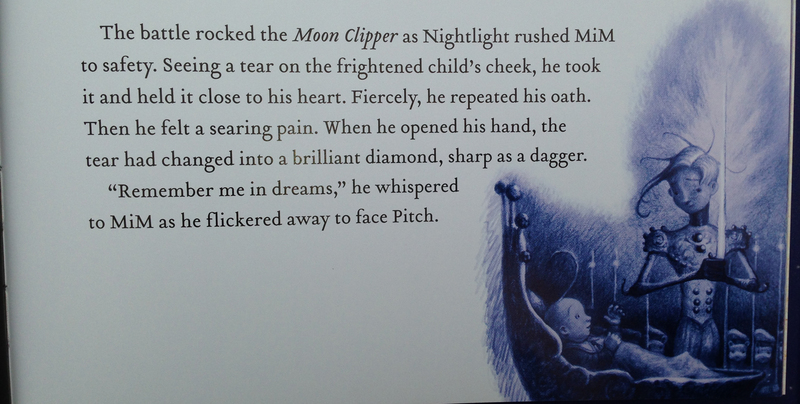 William Joyce was my guide: author; illustrator: creator of worlds (Joyce, 2011). This is the beauty of children’s literature: it is able to take the reader beyond their own world through the use of language and languages (Winch, Johnson, March, Ljungdahl, & Holliday, 2010). Children’s literature is more than just a description of events; quality literature explores human issues and engages the emotions of the reader (Lukens, 2007). Created worlds may be akin or dissimilar to reality but they all create a connection to the reader through the themes explored within (Lukens, 2007; Unsworth, 1994). Readers are able to journey through experiences and gain understandings they otherwise would not; understandings about other times, other places, other perspectives or even their own as they reflect during engagement with the text and connections are made (Lukens, 2007). Quality children’s literature allows children, and adults alike, to make sense of the world; to explore not only the world for what it is, but also for what it could be (Australian Curriculum, Assessment and Reporting Authority [ACARA], 2013; Winch, et al., 2010). The Australian curriculum defines literature as including both written and various multimodal forms and asserts it as being fundamental to children’s language development (ACARA, 2013). This is because it allows deeper understandings to be formed around the language contained within with picturebooks in particular providing a rich source for such development (ACARA, 2013). The images within picturebooks can support or accentuate the meaning which is being portrayed within the written text in more or less obvious ways (Callow, 2013). 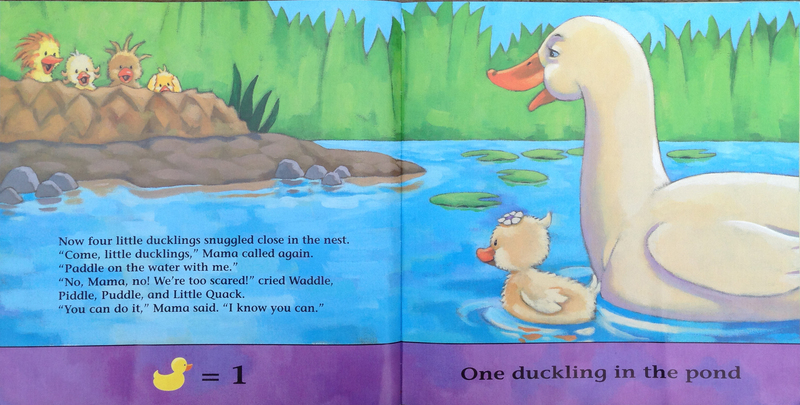 Little Quack focuses on the numbers 1-5 which are made explicit within the images and supported within the border of the pages along with the associated language (Thompson, 2003). The pictures also emphasise the text’s exploration of being scared and building courage as they invite the reader to empathise with the characters as they develop through these emotions. Today I feel Silly exemplifies the notion that images are a language unto themselves as it explores their use to accentuate emotions (Curtis, 1998; Winch, et al., 2010). For example, by using colour to exemplify anger. Or by using angle to accentuate the protagonist’s loneliness by making her appear small and insignificant (Callow, 2013). The written text is valuable for learning unto itself. Through literature’s pages children are exposed to rich new vocabulary and ways of describing and understanding the world. Learning is also enhanced through various language features. 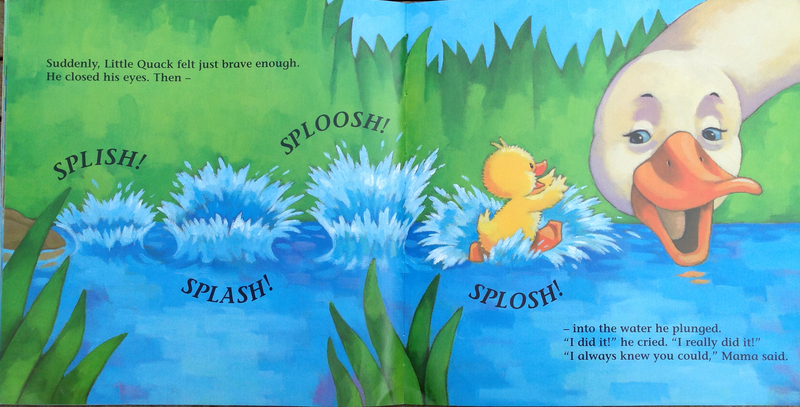 Little Quack, for example, utilises onomatopoeia, simple descriptive words and repeated phrases enable very young children to learn through repetition and to encourage them to engage. Today I feel silly enables children to explore syllables and similar sounds through its rhyme and rhythm, while The Man in the Moon uses richer vocabulary and techniques such as simile to engage even older children. Literature is literacy in practice (Winch, et al., 2010). Exploring literature collaboratively with children will allow them to engage with, and subsequently develop, all forms of literacy: reading, writing, speaking and listening (Winch et al., 2010). Most of all, exposing children to quality literature will develop a lifelong love of reading, and subsequently learning. Callow, J. (2013). The shape of texts to come: How image and text work. Newtown, NSW: Primary English Teaching Association of Australia (PETAA). Curtis, J. L. (1998). Today I feel silly: & other moods that make my day (L. Cornell, Illustrator). New York, NY: Harper Collins. Joyce, W. (2011). The guardians of childhood: The man in the Moon. New York, NY: Atheneum Books for Young Readers. Lukens, R. J. (2007). A critical handbook of children’s literature (8th ed.). Boston, MA: Pearson Education. Thompson, L. (2003). 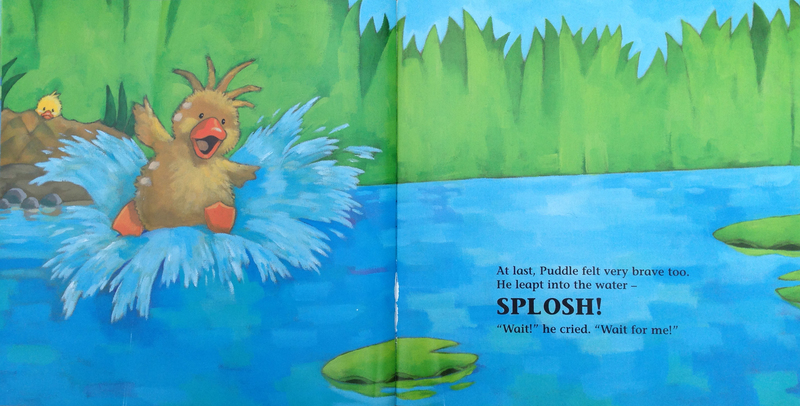 Little Quack (D. Anderson, Illustrator). Kingsway, London: Simon and Schuster. Unsworth, L. (1994). Managing the Language program: Children’s literature in the primary classroom. South Melbourne, VIC: Macmillan Education Australia. Posted in Children's literature and tagged Literature, Picturebooks. Bookmark the permalink. This is a very well written blog entry Tracey, well done. I must say that you immediately caught my attention with the title but then your first paragraph was amazing, engaging and original! Well done, you have a very sound understanding of audience. Your definition of children’s literature was sound, as were your discussions surrounding language features – it will be important for you to reflect upon this as your understandings develop throughout the semester.